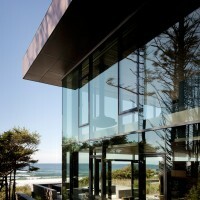 Boora Architects have designed the 360 House, a beachfront vacation home located on the Oregon Coast. 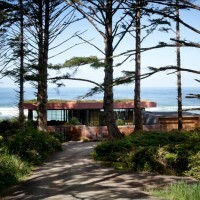 Perched above the beach at the edge of the tree line, this vacation home allows the dramatic Oregon Coast to take center stage. 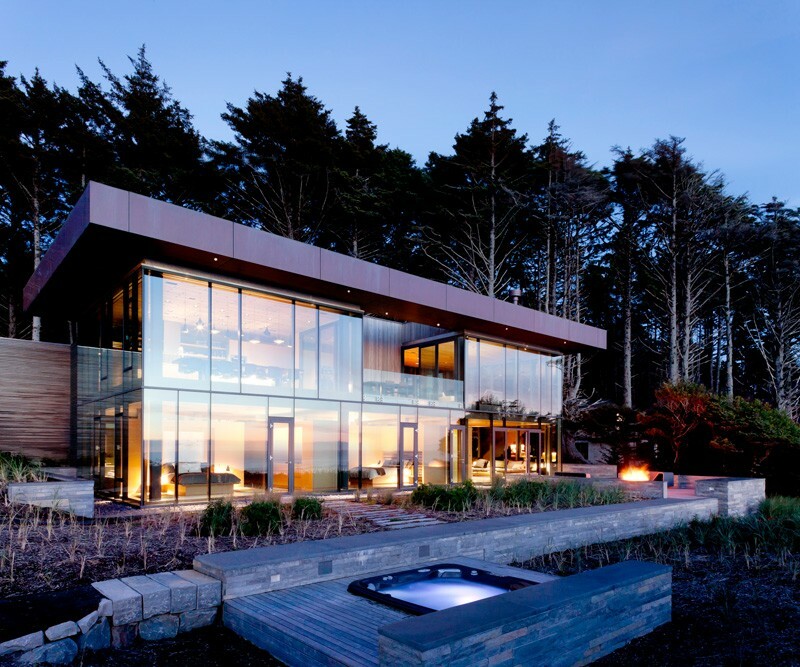 The design maintains sightlines from the sheltered forest to the open coastline with a minimal structure of glass and steel. 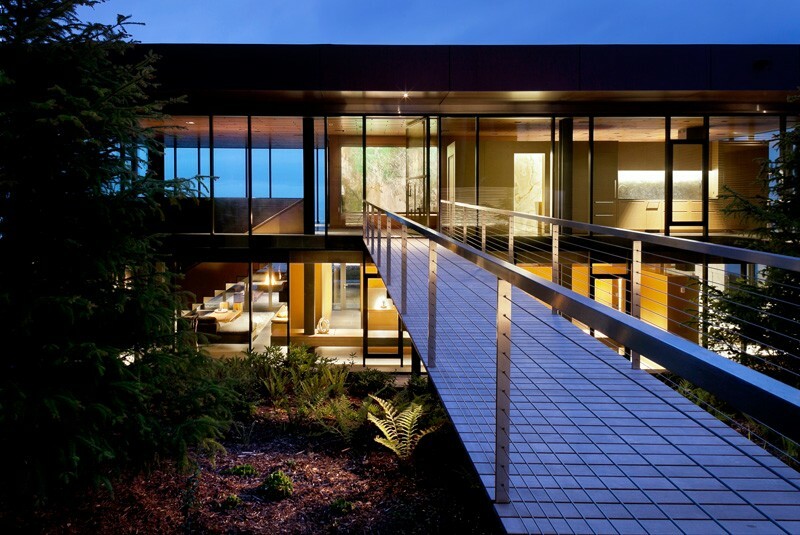 Atop the two-story, transparent box, the copper-clad green roof is an elevated slab of native ferns and grasses. 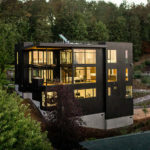 Only the upper floor is visible from the forested driveway. Accessible via a catwalk and oversized glass pivot door, the upper level contains the main living spaces – living room, kitchen, dining room – and offers views in every direction. 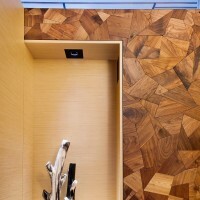 Cabinetry is pulled to the center of the space to free the exterior walls from obstruction. 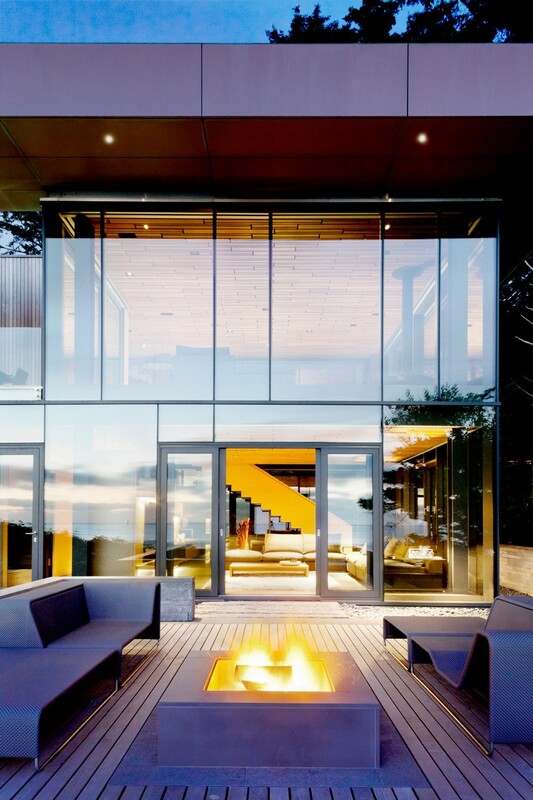 A small gap between the basalt flooring and the curtain wall creates an “infinity” effect along the perimeter. 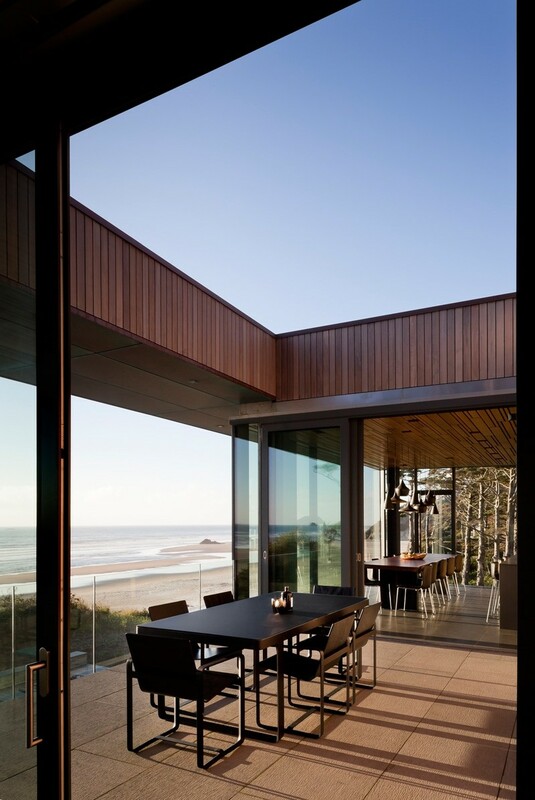 A sheltered deck is punched into the west facade, protected from the wind and connected to the living spaces by wide sliding doors. 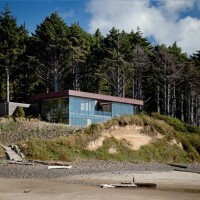 From the beach, the full height of the house is exposed, although it’s placement on the bluff and the sloped site to the east adds a sense of intimacy to the lower level. A custom desk cantilevers from the steel columns on the protected eastern side of the downstairs. The family room and two bedrooms open directly to the patio and beach access. 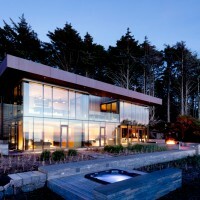 A sophisticated “home brain” allows the owners to remotely control all aspects of the house via their ipad or touchscreens on each floor: lights, shades, thermostats and audio systems. Mechanized curtains can be lowered in individual sections throughout the house as needed to allow for privacy or to control light levels. Hot water, radiant floor heat and air-conditioning is provided from a ground source heat pump. 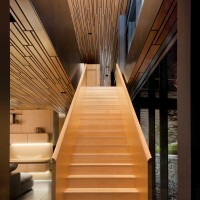 Finishes and furnishings were chosen for their textural quality and subtlety. 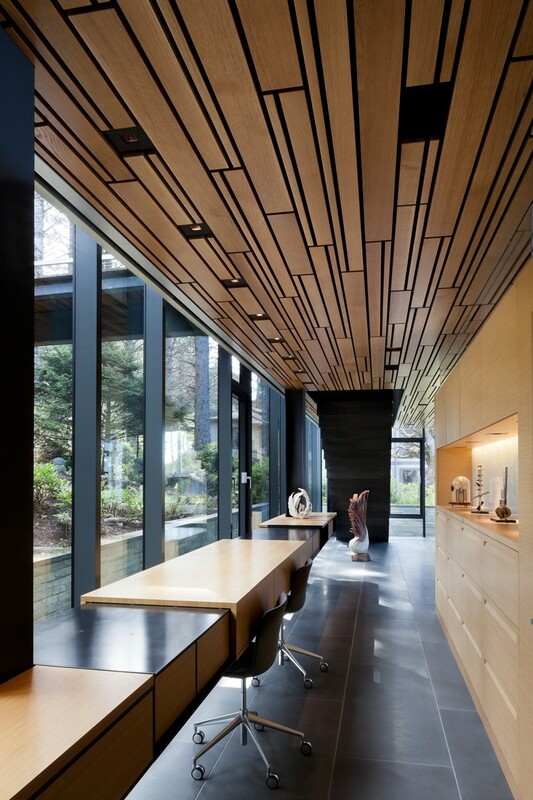 Floors and kitchen counters are made from the same dark grey basalt. 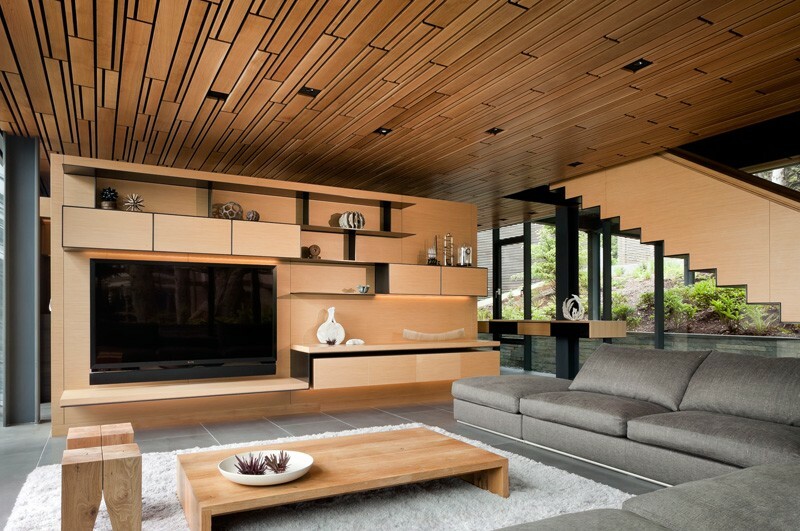 Walls, ceiling and built-in cabinetry were crafted from white oak with accents of hot-rolled blackened steel. To maintain flow and consistency, beds, desk and cabinetry were custom made. 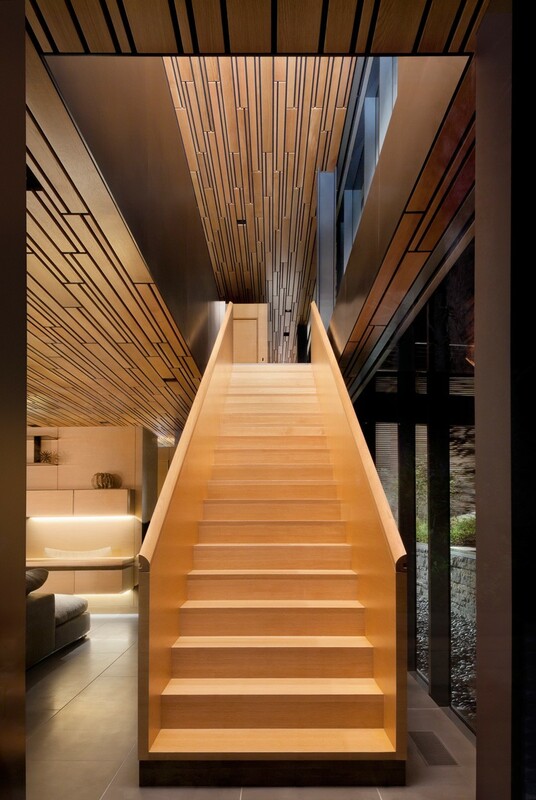 A single piece steel frame supports the floating white oak staircase. 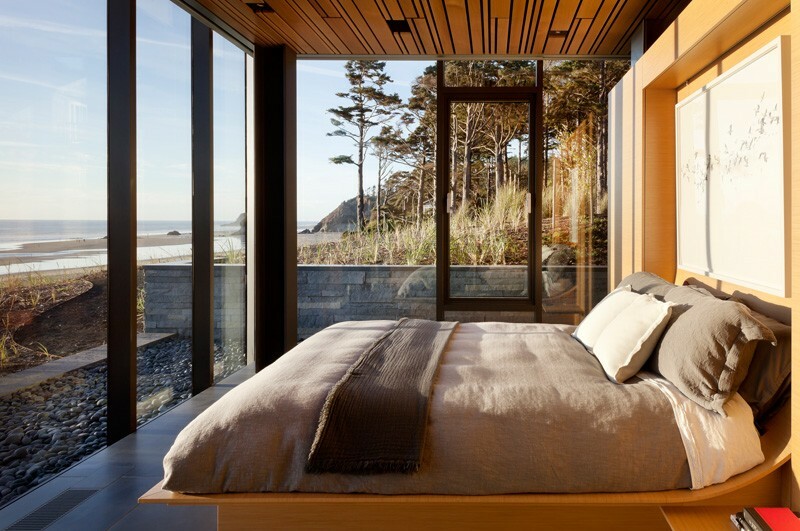 Regardless of the unpredictable Oregon Coast weather, the house is filled with natural light. At night, the light levels are kept low to create a cocoon-like, intimate effect.